Most of us enjoy travelling by road with relaxed rides and plenty of breaks. One must be very cautious when travelling by road. There are lot of advantages and comforts in travelling by road, but at the same time it is little bit dangerous and risky. To make the road trip safe and happy on must follow some tips, which make the journey a sweet memory. 1. Plan in advance: It is very important to plan in advance if one is travelling by road. Pushing at the last minute may get you in trouble than good. When travelling through road the important thing one must carry is road map. One has to mark out the route and ideal places for stopping before starting for a trip. Plan for the basic items like food, water, luggage, money etc and be prepared for some stress and don’t expect everything to happen as planned. 2. Make sure your vehicle is in good condition: Take some time for tuning your car and check all the necessary things like; fuel, air pressure in the tires, tool kit, safety kit, extra tire etc and clean your car and remove all the unnecessary things like; used napkins, gum wrappers, receipts from your last trip, fast food wrappers and other junk. Get the oil in your vehicle changed and check your fuels before leaving. Make sure to keep your license, registration papers, insurance papers and other necessary documents with you in the car. 3. 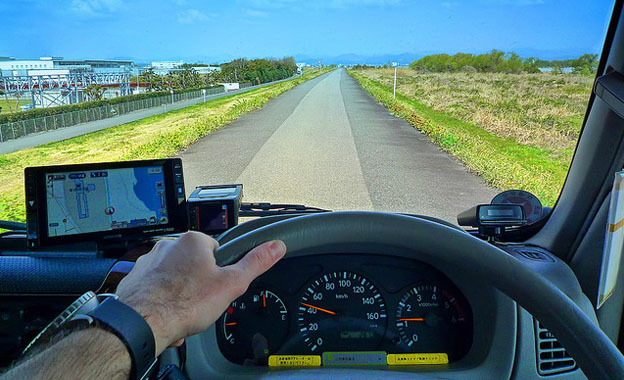 Don’t drive continuously and take turns driving: When driving long distances, it is good to take a break from driving. Road trips often give good experiences if you have a good destination and proper schedule. Try to get off the highways and plan to get off the country roads. Wear your seat belt and go with the flow of traffic if you are travelling between the city roads. 4. Pack games, clothes and food for kids: If you are travelling with kids, it is must to pack all the necessary items like food, extra clothes, games, sunscreen lotions, sun glasses, music etc. If your back seat is full of bored kids, your long road trip will become unbearable for everyone. Bring a variety of activities to keep your kids occupied. Some of the activities include coloring books, puzzles books, crossword games, board games, spy games etc. Take a lot of eatables like; biscuits, popcorn, chocolates, cookies, potato chips etc to keep your child busy. 5. Take some time to sleep: It is necessary to sleep for some time, if one is driving continuously for more than 8 hours on road or if driving through the night. Sleep for some time when it is not your turn to drive. It is advisable to take a travel pillow as it is not comfortable to sleep in car. The driver can be considered as a safe driver if and only if he is a well rested driver. Ultimately, you can do everything on the list and have a successful road trip.